In the first few months of their college experience, college freshmen experience a lot of change and freedom. For example, they live with friends, do everything by themselves, and escape their helicopter parents that are worried at home. However, as a freshman, I can attest that those helicopter parents are the thing that you miss the most. That’s exactly where CMU brings in the perfect solution: Family Weekend! Family Weekend occurs right around the middle of the time period between Move-In Day and Thanksgiving. This happens to be the longest stretch without an official break to go home. For all the high-school students worrying about missing their parents for a long time and drifting away from them while at college, Family Weekend offers fun on-campus activities. Along with these activities, you can explore the off-campus Pittsburgh locations that attract families to be together in interesting places. The weekend kicks off with a cultural throwback event that makes you believe you’re right back at home celebrating: Diwali. 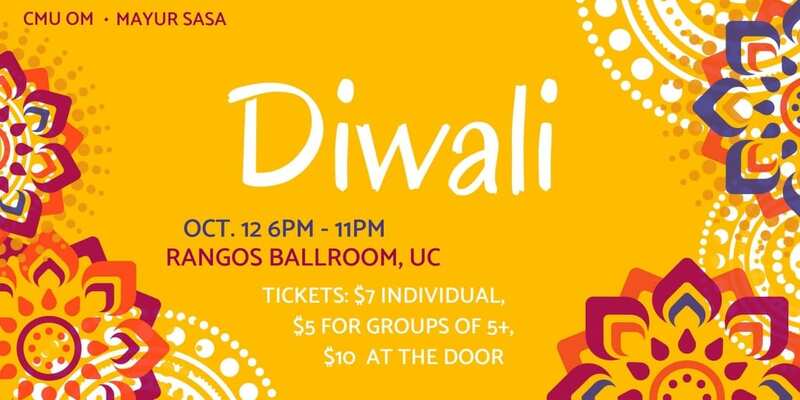 Hosted by Mayur and OM, two South Asian Societies on campus, Diwali brings together Indian dances, music, food, and the performances by all the South Asian groups. Sahara, Raasta, Bhangra, Deewane, Jiya, and Saans headline the awe-inspiring performances. Seeing everyone around you in traditional Indian clothing eating Indian food reminds you of your own family get-togethers back home. The next day, Scotty Saturday offers activities outside on the lawn of CMU, fun for all ages. After attending Diwali Friday night, I had the opportunity to live with my parents over the weekend at a hotel. Over the course of the weekend, I visited the Duquesne Incline, which offers a beautiful view of the city from 1000 feet above ground. Next, we spent time looking at Randyland, a colorful and child-friendly building filled with assorted items. For the perennial shoppers, we stopped at Robinson Mall and bought some clothes as well. Finally, we went to a movie at the beautiful AMC theater in Homestead. Family Weekend offered me a weekend-long break from the college life and allowed me to be with my family again, an amenity very much appreciated by the freshmen of CMU.